The Hemingway Daiquiri is also known as the Papa Doble or Hemingway Special and it is a popular classic cocktail. As one may expect, it was named after the famous writer of the 1920's and 30s, Ernest Hemingway. It is widely known that Hemingway enjoyed a drink or two. Biographical books like Hemingway's own "A Moveable Feast" include countless tales of sharing drinks with literary friends while in Paris and much of his free time throughout his life was spent in bars. He was quite selective about what he imbibed and certainly had his preferences. After spending some time in Cuba, Hemingway quickly became enamored with the daiquiri. In 1921 Constantino Ribailagua, of El Floridita in Havana, created this variation in honor of his daiquiri-loving regular. As far as the drink goes, you will enjoy this amplified daiquiri because it brings the sweetness of maraschino along with tart grapefruit into the classic rum-lime mix. It's quite a delight and a nice routine-breaking drink. For Hemingway himself, this daiquiri was served without sugar (simple syrup) and almost always prepared that way despite the fact that most people prefer the added sweetness. To create a better-tasting daiquiri, be sure to choose a top-shelf rum. If you want to keep the taste authentic, Cuban rums like Havana Club, Ron Mulata, and Santiago de Cuba would be natural choices. Any Caribbean rum would be a good option, though. Keep in mind that in Spanish-speaking countries, white rum is often called blanco, just like tequila. As with any daiquiri, the Hemingway is best with fresh-squeezed lime and grapefruit juices. 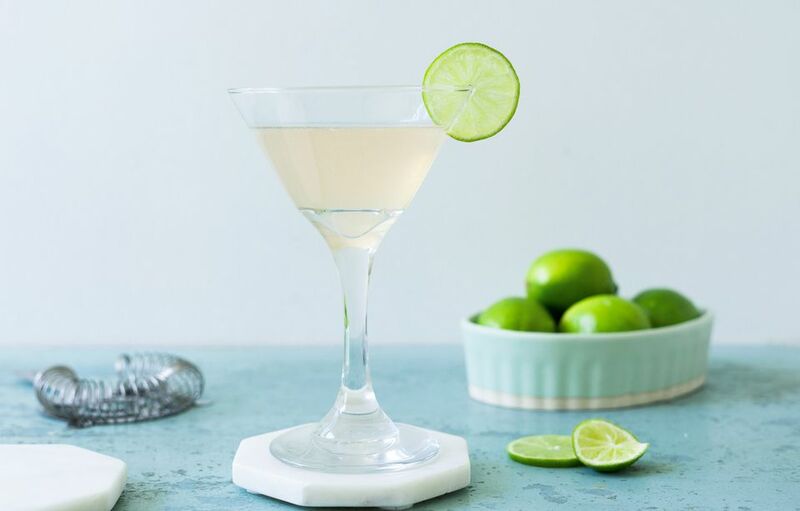 You can typically expect to get 1/2 to 1 ounce of juice out of the average lime, which is enough for one or two drinks. A grapefruit often yields 5 ounces or more, so a single fruit should be plenty for a few rounds with friends. Maraschino is a cherry liqueur with a bitter-dry taste. If you need a substitute, Cherry Heering is your best bet. Stay away from super sweet cherry liqueurs as they will throw off the daiquiri's balance of flavors. If you'd like to serve this cocktail frozen, just add 3/4 to 1 cup of ice to a blender with the other ingredients. How Strong Is a Hemingway Daiquiri? Fresh-made, shaken daiquiris are not light cocktails and the Hemingway is no different. When made with an 80-proof rum, it shakes up to have an alcohol content around 20 percent ABV (40 proof), or half the original strength of the rum. To put it into perspective, a Rum & Coke is just 12 percent ABV (24 proof).